1 Bedroom Flat For Sale in Manchester for Offers Over £150,000. This stunning one bed apartment is located on the fourth floor within the highly sought after Langley Building in the Northern Quarter. 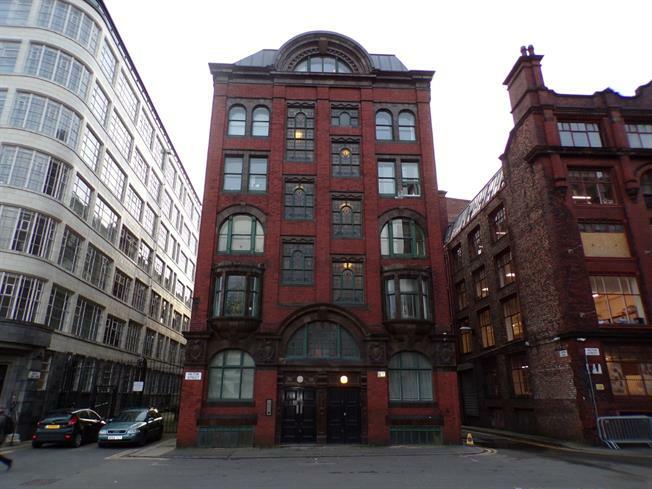 Ideally located to Piccadilly Train Station, Piccadilly Gardens and only a short walk away from the bars and cafe's of the Northern Quarter; The Langley Building is one of Manchester's most desirable addresses. Located on the fourth floor and consisting of a hallway with two storage cupboards to a superb dual aspect living area with secondary glazed focal windows to two sides. The bedroom is of a double size and the bathroom enjoys a three piece fitted suite. Life in the Northern Quarter just got great again. Front . Secondary glazed wood sash window facing the side. Electric heater, carpeted flooring, ceiling light. Double aspect secondary glazed wood sash windows facing the front and side. Electric heater, laminate flooring, painted plaster ceiling, ceiling light. Roll edge work surface, fitted and wall and base units, stainless steel sink and with mixer tap, integrated, electric oven, integrated, electric hob, stainless steel extractor, integrated slimline dishwasher, integrated fridge/freezer. Heated towel rail, tiled flooring, painted plaster ceiling, spotlights. Concealed cistern WC, roll top bath with mixer tap, thermostatic shower, wall-mounted sink with mixer tap, extractor fan.